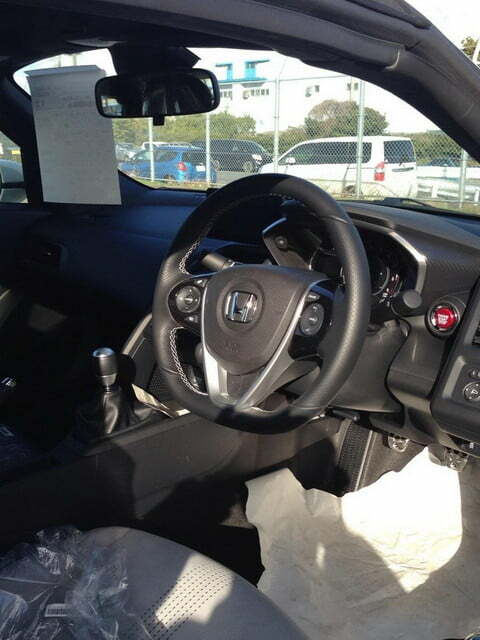 Honda’s new mid-engine, turbocharged two-door (not this one) was given the green light for 2015 production last year, and a finalized version has just been photographed in Japan. 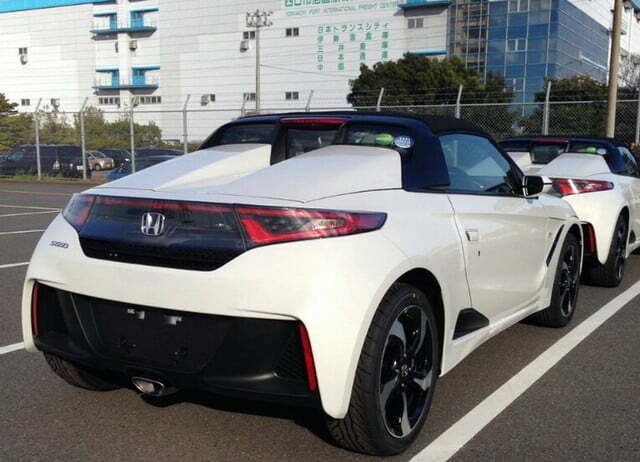 Yes, the Honda S660 ‘baby roadster’ has been spotted in the wild. The photos come from Minkara and show the small Kei car in the metal. Those familiar with the Japanese vehicle class will not be surprised by the S660’s small stature, as Kei car laws state that they may not exceed 133.8 inches long or 58.2 inches wide. That’s 1.5 feet shorter and 9.9 inches skinnier than the current Mazda MX-5, by the way. As previously reported, the roadster takes styling cues from the Honda Beat, a small convertible produced from 1991 to 1996. The production iterant is actually quite similar to the S660 Concept, albeit with smaller wheels and a more traditional lighting setup. 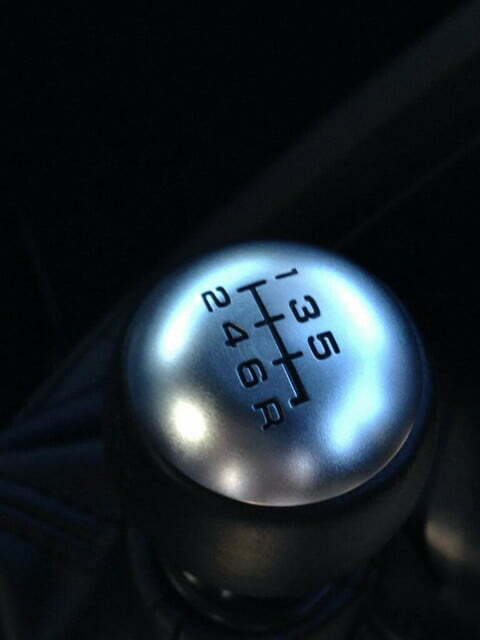 Inside, the heavily stylized steering wheel and seats have been swapped for more conventional units. 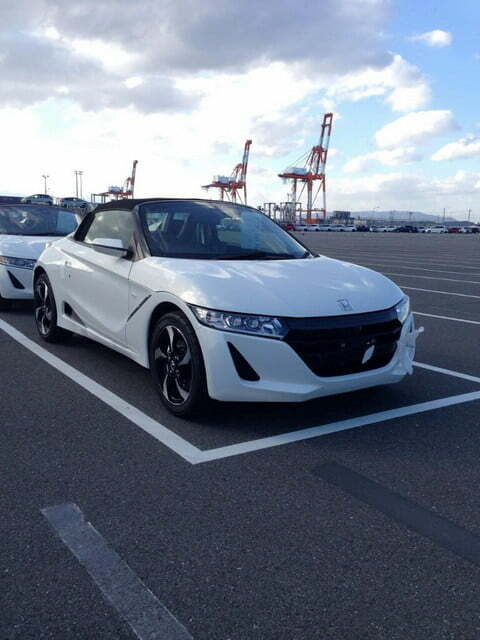 The photos show the car idling at a shipping port, possibly awaiting transport to dealers across Japan. The vehicle is not headed stateside as far as we know. The mid-engined S660 features a 660-cc turbocharged three-cylinder bolted behind the seats, boasting a scant 63 horsepower as per Kei regulations. It’s not exactly an NSX, but remember that the roadster weighs less than 2,000 pounds, has a low center of gravity, and employs a near-perfect 50:50 weight distribution. The S660 is Honda’s first convertible Kei car since the Beat was retired in 1996. As we reported last November, Honda may also be mulling a hotter S1000 version, which could equip a 1.0-liter turbocharged engine with 140 hp. 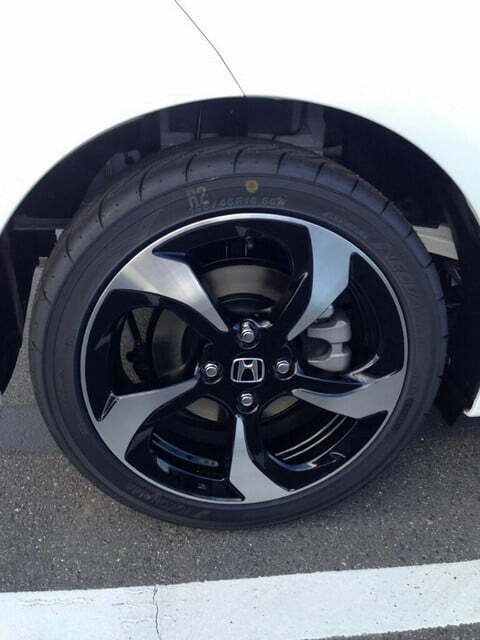 Highly-respected Honda tuner Mugen is reportedly involved in the vehicle’s development.